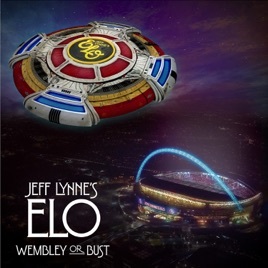 With a new crew of bandmates, Jeff Lynne recreated the classic ELO experience at London's Wembley Arena in June 2017, adding a few new twists along the way. Here, the titanic pop hooks and epic orchestral sweep of ELO hits like the rocking "Don't Bring Me Down," the Beatles-esque "Mr. Blue Sky," and the longing "Telephone Line" are rendered with an almost revelatory physicality. 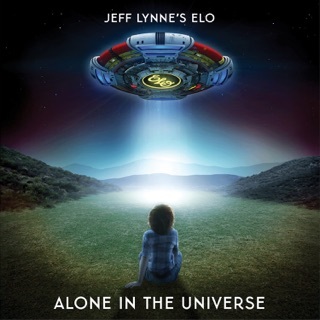 Lynne also puts a new spin on his old supergroup The Traveling Wilburys' "Handle with Care" and ELO's 1980 soundtrack collaboration with Olivia Newton-John, "Xanadu," by singing lead on both. If the first three releases are any indication, this collection of songs from Lynne’s Wembley Concert (2017) promises to be Wow! Wow! Wow! Sounds like Lynne put just as much effort and detail into the performance and production of these songs live this past summer as he does in the studio. Hit after hit, chances are we’ll all be singing along with every track. Looking forward to the full release - and hopefully an announcement of more live dates. Jeff Lynne is incredible at what he does! First off he wrote every single one of ELO’s songs all on his own and produced every album! Really looking forward to this release and new albums and hopefully more live shows!